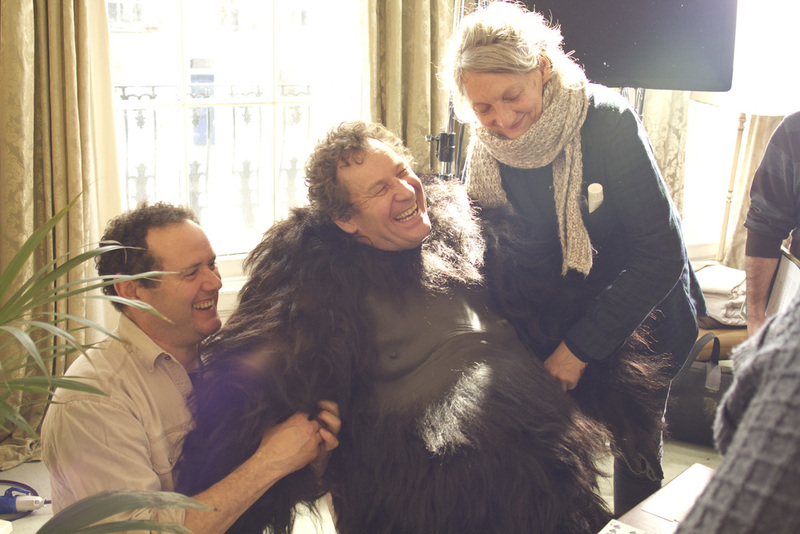 The Monday after I had finished a six month contract at Hive, my phone rang and Tim from Earl Productions asked "would you be interested in helping out on some films with Bill Oddie* and an animatronic gorilla?" Hmm, so a mixture of offbeat filmmaking, working with an actor from my childhood TV world, and the ultimate aim of helping promote wildlife conservation? I'm in. A few months later and here is the result. While the core idea and several scripts were already established, I was able to contribute art direction, graphic design and typography, copywriting, and some broader strategic wisdom from my years in ad agencies. Plus of course helping shoulder the considerable load of production workload, which on a pro-bono project (where everyone is juggling their own need-to-pay-the-bills jobs at the same time), is also really valuable. On top of that though I was really pleased to contribute a fourth script. Run fits with the main campaign but works in a more tactical way, with the aim of recruiting people for the Gorilla Organization's annual fundraising fun run. The 'Toby and Hilary' films approach the gorilla conservation message from a different angle than the usual earnest pleading charity ads. With great documentaries such as Virunga out there to educate on the plight of gorillas, and a never-ending stream of worthy causes coming at the public every day, we hope a humourous and offbeat approach will help create cut-through, plus engage a different sort of audience. A continuing challenge is utilising social media effectively to maximise views, without any budget for that either. Being part of making these films was a hard-working but gratifying experience, and illuminating to see the advantages and pitfalls of a 'flat' pro-bono structure, where there is absolutely no money involved and nobody ultimately calling the shots: an odd blend of democracy and compromise. With some cunning networking from producer Tim Earl, we even got cutdown silent versions of the ads onto big screens in Westfield Shopping centre in Stratford, East London. The final films are a testament to how a plethora of people (and companies) can be convinced to contribute their time for free, when the idea is interesting, and the cause is worthy. Check out the campaign microsite www.mygorilla.org to see all the films and find out how you could help this important species survive. Plus a shout out to my collaborators Riccardo, Toby, Tim and Tom.